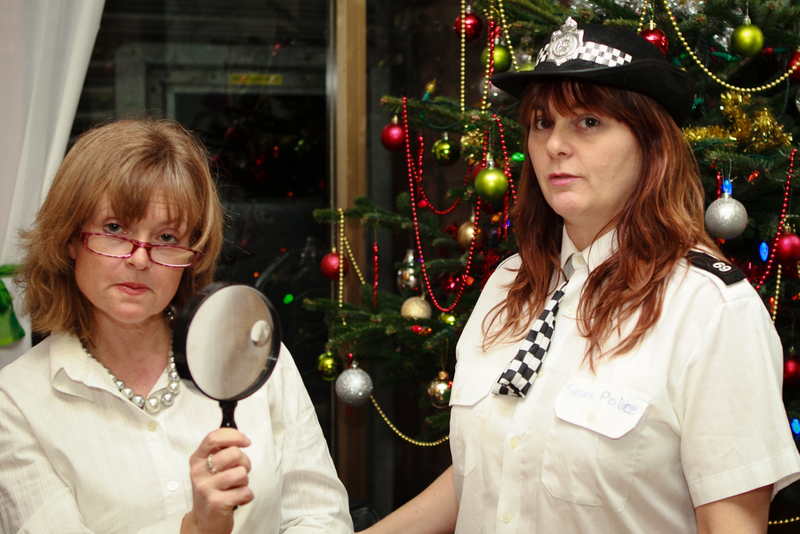 We are Emma Ryan and Cathy Robinson and together we created Write Me A Murder in 2007. We met in 1993 in the Civil Service and formed a lasting friendship. 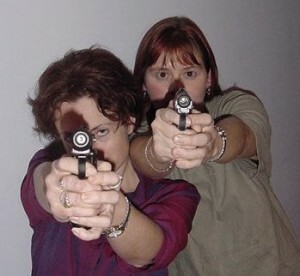 We’ve travelled extensively together and discovered our interest in murder mysteries when we attended a weekend event at a hotel in northern England in 2001. We were just guests then, sharing a weekend with twenty other people trying to solve a murder which was produced and acted out by a professional company. It was great fun and even back then we thought it looked like a great thing to be part of. In 2007, having been involved in murder mysteries in different capacities, we spotted a niche in the market! There were murder mystery weekends you could attend at hotels, but they weren’t tailored to the guests. You could buy generic games in a box but they were rarely for more than eight people and they were rather formulaic. We realised that people were looking for something more customised, suitable for a party of their specific size and tailored to the individual guests. We had plenty of experience of organising and acting in murder mysteries for corporate events, birthday parties and family groups all over the UK – at castles, hotels (including Allt Yr Ynys, Ghyll Manor), private homes, restaurants and even in an abandoned prison! We have also hosted events overseas, such as in the prestigious San Zoilo Monastery and Hotel Puerta de Gredos in Spain. The result of that experience is Write Me A Murder. In the intervening years, we’ve created many personalised plots for groups to hold in their own homes and, in 2011, we branched out into live productions. In 2011, we had the honour of being interviewed and photographed for Sussex Life Magazine about the company, its history and its future.